PUMA and Los Angeles based lifestyle brand STAMPD are starting the new year with the announcement of a fourth collaborative collection for the Spring 2017 season. Stampd founder and creative director Chris Stamp, stays consistent with the brand’s “Made to Make It” mantra for the series 4 collaboration, while challenging the boundaries of materials and applying artistic cues from architectural elements and characteristics unique to Southern California and the west coast. 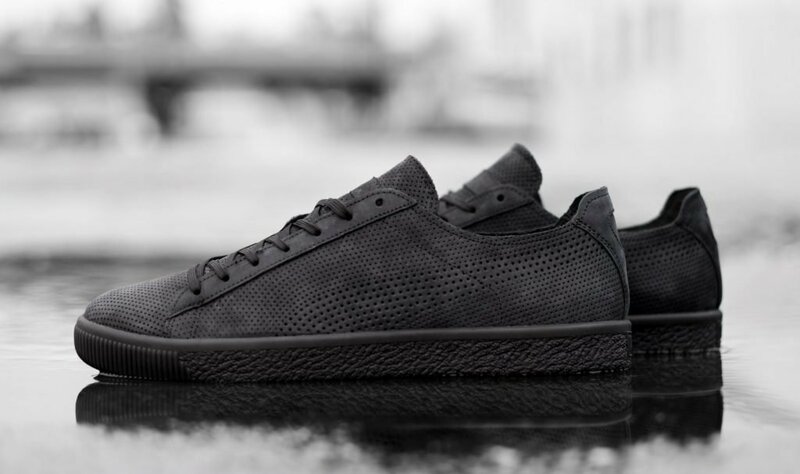 The collaboration debuts with the unveiling of the PUMA x STAMPD Clyde shoe which has been remastered with rich perforated leather and muted tones of Cameo Brown and Black. A small selection of apparel items will accompany the footwear and include a Hoody in Cameo Brown and White, a poly-elastic Tee in Black and White, and a Longsleeve poly-elastic tee in Black with a subtle tonal camo print. A complete collection will launch globally at STAMPD’s flagship Los Angeles boutique and select PUMA retailers on January 20th.